All of us here at Proverbial Thought would like to request your prayers for Chattanooga, TN, in the wake of a terrible tragedy which involved the killing of four Marines at a Naval Reserve training center. Dear friends, this is just the beginning of what America is going to face, especially when we refuse to acknowledge who our enemy is. Those who are behind attacks like the one today in Chattanooga are not atheist, or Christian, or Jewish, or politically motivated; they are motivated by the desire to convert the world to Islam. We may differ on how to combat the enemy we face, but those of us who believe God’s Word know that the answer to peace can be found in the Prince of Peace, Jesus Christ. 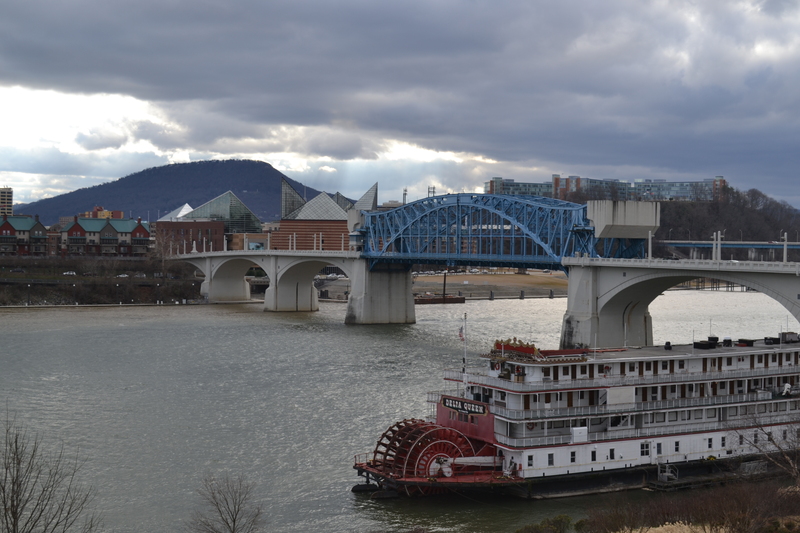 A view of downtown Chattanooga. Chattanooga is the hometown of several of our contributors: Katie Baker, Jason Sneed, Grady Davidson, and myself (Anthony Baker). Some of us know people affected by today’s horrible murders. Folks, this is a sad day, but it should be a wake-up call – in more ways than one. May God give our leaders Wisdom, and may they use it. 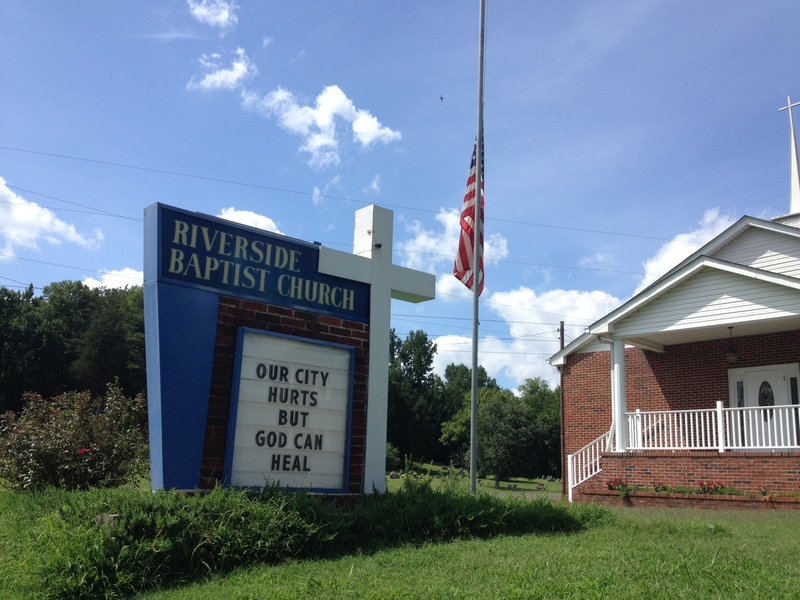 The sign in front of Riverside Baptist, where Anthony Baker is pastor. This entry was posted on Thursday, July 16th, 2015 at 10:51 pm	and tagged with Anthony Baker, Chattanooga, Islamic Extremist, proverbs, Shooting and posted in Government, The Wicked, Warnings, Wisdom. You can follow any responses to this entry through the RSS 2.0 feed. Sorry to hear about the murders in Chattanooga.